Four years ago yesterday, I was at Lincoln Center, getting The Casual Vacancy signed by J.K. Rowling. Shelby had an extra ticket, and so I went with her, Shylah, David, and Katie. 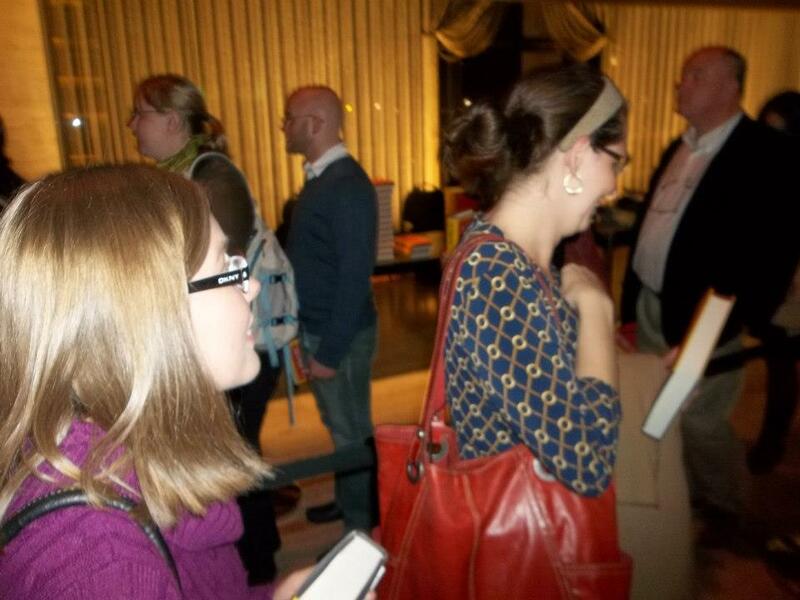 We all had dinner at Carmine's beforehand, and of course meeting her afterward was lovely. J.K. Rowling is a delight, and I remember especially being surprised at how very beautiful she was. Lev Grossman writes about the evening much better than I could, especially all these years later. I realized I never really wrote about it here, so I thought I should mention it. 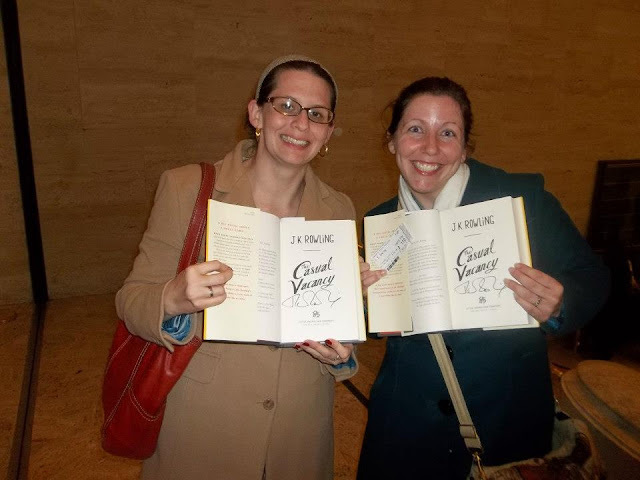 Harry Potter has always been a summer read for me, like so many other people, but there is something so decidedly autumnal about it, so now seems like an appropriate time to mention that this was a lovely evening in my life, a few years back. 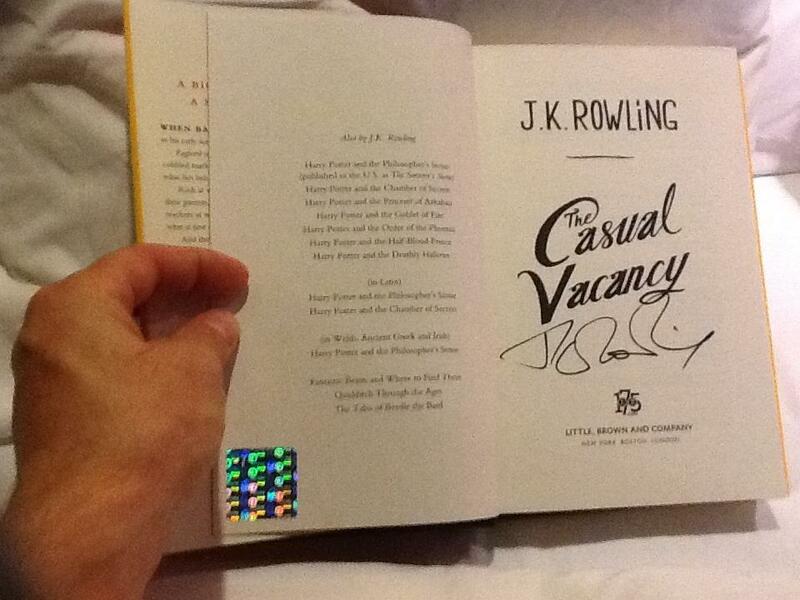 I still haven't read The Casual Vacancy, though.